Click on a picture to view an enlarged version. 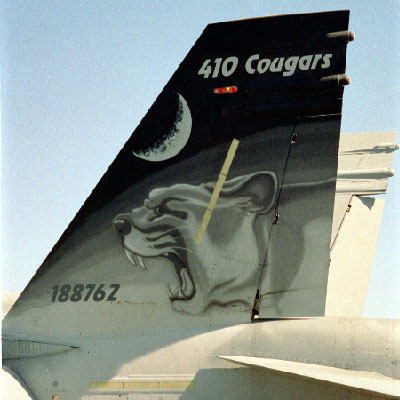 "Tail Art" on a Canadian Forces CF-18, Abbotsford Airshow, Abbotsford, BC, 1993. I have many other pictures from various airshows in the late 1980's and early 1990's, but the quality from a 200mm zoom lens in the general admission area isn't that great. 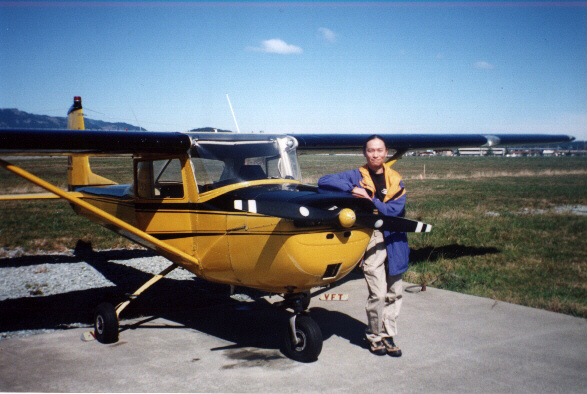 1964 Cessna C-150M C-GGUW, Victoria International Airport, Victoria, BC, Spring 1998. This airplane has brought an almost equal amount of joy and heartache. No surprise from such an old airplane, it has cost thousands of dollars in repair costs, in exchange for some brief but very good times flying over the mountains and west coast of southern Vancouver Island. Good thing I only owned a small share of it; otherwise the repair bills would have been overwhelming. The following pictures were taken from C-GGUW using a Konica panoramic disposable camera. Approaching Point Roberts, WA, 30km south-west of Vancouver. The Tsawwassen Ferry Terminal is visible on the far left. Final approach over Patricia Bay to Runway 09 at Victoria International Airport - YYJ. It's a great place to fly out of, with waterfront all around, Butchart Gardens to buzz, and even big commercial jets to share the skies with. Among the few downsides are unpredictable weather and sharing the circuit with five other student pilots practicing their touch-and-go's.